BROWNSVILLE — A 23-year-old man is facing federal drug charges after Border Patrol agents observed people using a makeshift ferry to cross a truck laden with a little more than 1,200 pounds of marijuana over the Rio Grande late last week. Jose Carlos Ibarra-Ortiz appeared in front of a federal magistrate judge Monday to face charges of possession of marijuana with intent to distribute and conspiracy to possess marijuana with intent to distribute, court records show. 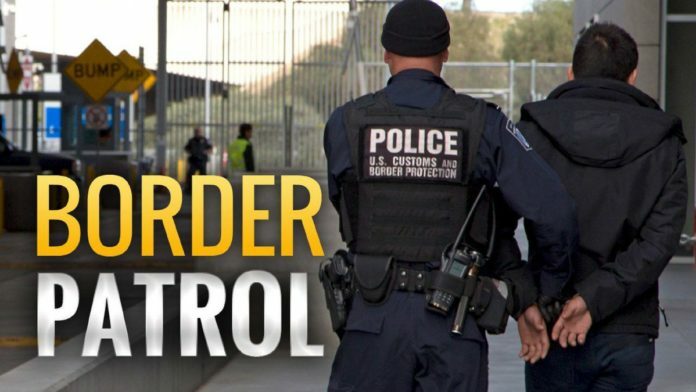 According to a criminal complaint, U.S. Border Patrol agents were working in an area known for high rates of drug and undocumented immigrant smuggling last Thursday when they observed a dark-colored Ford Ranger on the Rio Grande near Highway 4 and Oklahoma Road. Shortly thereafter, the same Ford Ranger was seen traveling at a high rate of speed northbound on the U.S. side of the Rio Grande, court documents show. When authorities tried to conduct an investigative stop on the truck, the driver tried to flee but lost control and rolled the Ford Ranger on its side, according to the criminal complaint. Ibarra-Ortiz, identified by authorities as the driver of the Ford Ranger, fled into a brushy area, but a canine unit found him and he was taken into custody, court documents show. Authorities also detained a 15-year-old who was a passenger in the Ford Ranger, court records show. Border Patrol agents found 52 bundles of marijuana weighing 1,211 pounds inside the overturned Ford Ranger, according to the criminal complaint. Ibarra-Ortiz is being held without bond and is scheduled for a March 1 preliminary examination hearing and a detention hearing on that same day, court records show.